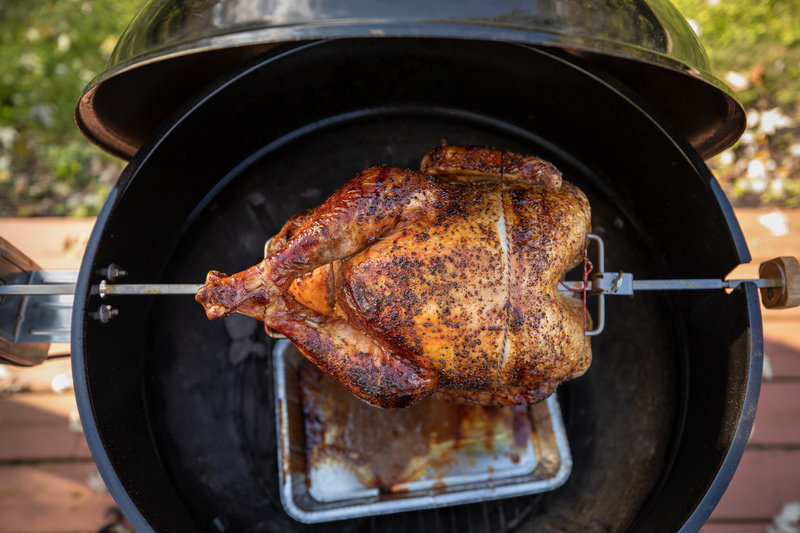 When Thanksgiving rolls around, I have this annual discussion with my friends centering around one question: how are you going to grill your turkey? Yes, the question is not where are you going to go to eat, or worse, what are you going to eat, it is always about the grill. I’ve prepared a Thanksgiving turkey on the grill in about all ways possible, but there is always one method I return to: the rotisserie. Not surprisingly, rotisserie cooking, which is essentially grilling on a spit over an open flame dates back thousands of years. There is a reason it’s popular. For me, it’s the best of all things. 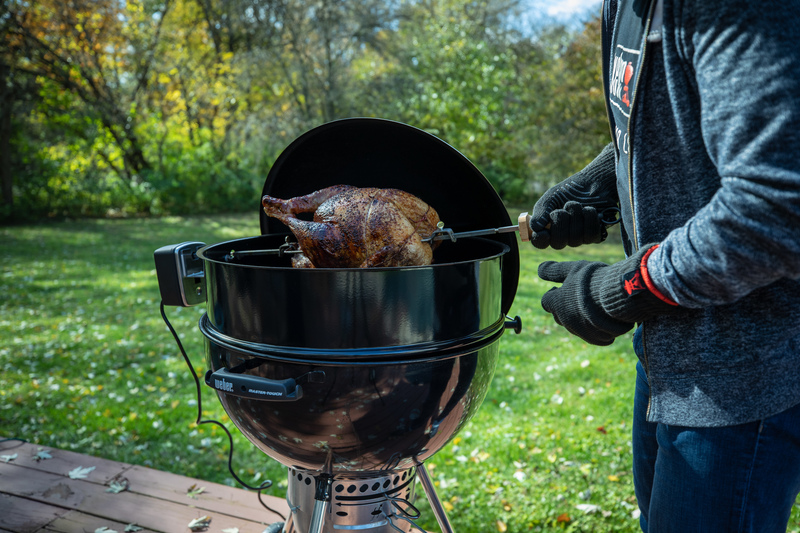 With my Weber Kettle and Rotisserie Ring, I can mound charcoal to one side of the grate where the heat slowly touches the turkey with each rotation. The result is always the best tasting and best looking turkey imaginable. 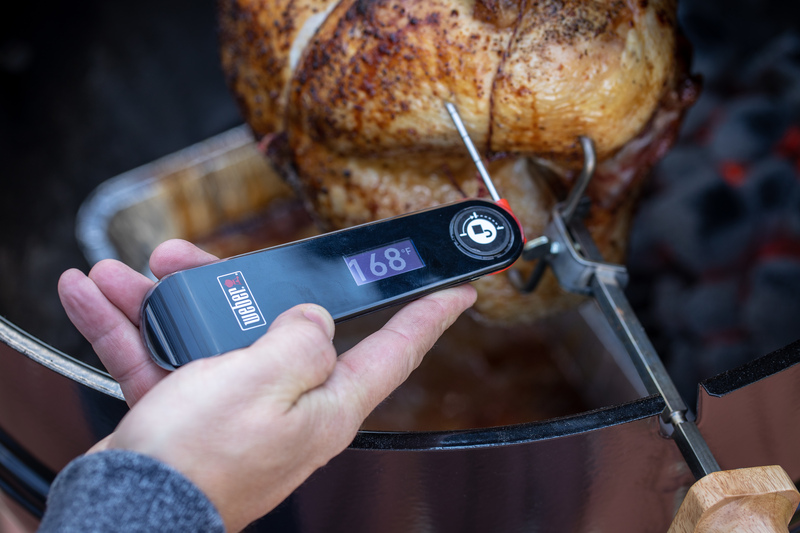 While having the task of grilling a holiday turkey may seem daunting, this process is nearly foolproof. The only downside is being asked to repeat your efforts year after year. Your family and friends will demand a repeat performance! 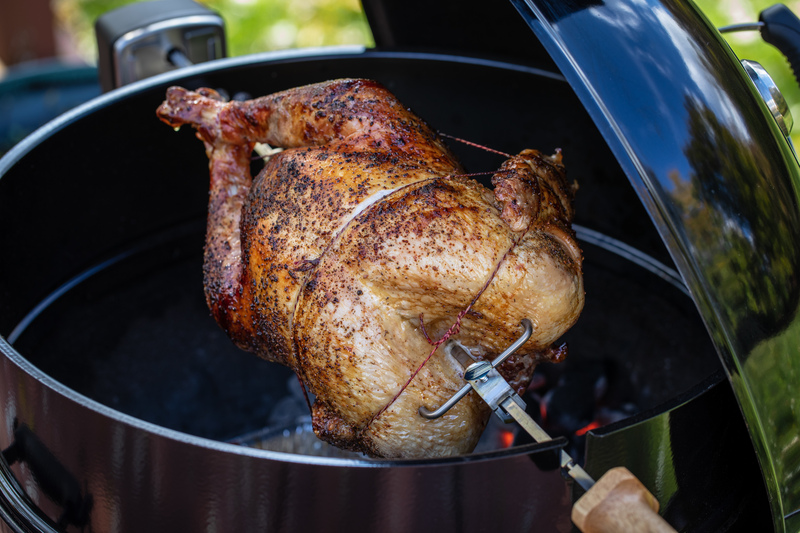 Now I have you convinced to use the rotisserie, here’s a great Jamie Purviance recipe to see it through. Keep scrolling down to see what accessories you need to recreate this masterpiece at home. Happy grilling and get spinning! Obviously if you are going to rotisserie, then this is a must have accessory. Bonus, use it beyond the turkey with these ideas.